Picks up close stations well Posted by: JRez from: on I purchased this antenna and the Mohu Leaf 50 at the same time. This unit was advertised on the package to be able to receive channels up to 60 miles away. The folding design snaps together, but doesn't lock well enough. The overall experience with this Terk unit resulted in decreased reception versus a far less expensive RCA amplified antenna. If you're close to all of the stations that broadcast in your area, this isn't a bad choice. But if you need range, look elsewhere. Just so so Posted by: Bernie6 from: Kansas on Thought I would try this because I wanted something a little nicer than rabbit ears. Supposed to be amplified and for areas within 60 miles. I am about 45-50 miles from a larger city. Don't waste your money. My reception is no better than the rabbit ears, but, I am more stylish!!! Expensive Posted by: CharlesJAX from: Jacksonville, FL on It's not bad. Great design and easily attaches to back of tv with adhesive backing. Or you can mount on wall with screws. 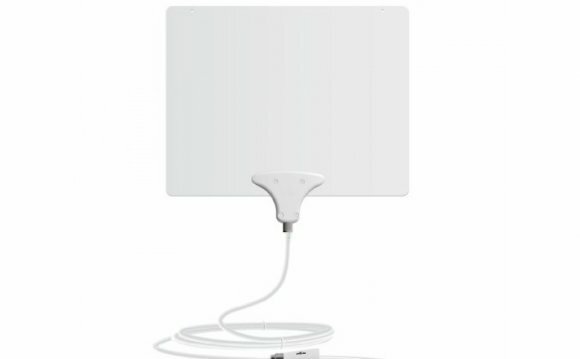 Didn't really notice any difference as the channels pretty much the same as other models like leaf or RCA flat surface antenna which are cheaper. However, I had a $25 certificate. So it ended up costing about the same. Again, I just like slim narrow design. Didn't work! Posted by: Bruce from: on High hopes for this antenna but we live in a fringe area so my expectations weren't high. After several scans on my Sony TV, I received NO (zero) channels on the digital or analog bands. I hooked up my Mohu and it received some channels so I doubted it was the TV. Hooked the antenna to an Insignia TV and NO channels. Defective out-of-the-box and no more locally when I went to the store to return it. Might be a great antenna as it's a Terk but I can't test it. Zero Channels Posted by: BBMoore57 from: on Loved the look and wished it worked. Not sure if it is my building design, but I could not access not even one channel. Had to return - hated that because I refuse to buy cable. Would only recommend because it may work in other locations. Indoor HDTV Antenna Posted by: Kitcat from: on This product didn't work for me but that doesn't necessarily mean that you shouldn't give it a try. I was having problems reaching one station and I think it had to do with the location of my TV and all the trees over my place. The stations that it did get were clear and no interference. Overall great antenna. Posted by: Nance from: on It is pretty pricey, but you will get a lot of channels and good reception if you require up 60 miles from the nearest tower. It absolutely needs to be placed by a window, and you need to move it around until you feel that you have the channels you prefer or all. I gave it four stars, because there is times when reception is a littl faulty. Not worth it Posted by: Bb123 from: on Had to scan for channels more than 4 times a day; sometimes I tuned into 2 channels, others 17. Unless you want to scan for channels every time you watch, don't get this item.